Microsoft hasn't even released Windows 10 to the general public yet, and the company is already talking about updates. According to a report from Neowin, Microsoft is preparing a series of updates codenamed 'Redstone' that will hit various devices in June and October 2016. Like with Windows 10 itself, Redstone updates will be delivered to Windows Insiders ahead of their final release, giving enthusiasts a chance to trial the changes and notify Microsoft of any issues. Microsoft isn't saying what features will be included in Redstone updates, as they build upon what Microsoft will deliver in Windows 10. The company is now hard at work fixing bugs and polishing features for the Windows 10 release, so any extra functionality that was planned, but didn't make it to the final release, will likely end up in Redstone. It's also worth mentioning that Redstone is not the next version of Windows, but instead an update in the same mold as Windows 8.1 (codenamed 'Blue'). Redstone will target a whole range of devices and products, including Xbox, Surface Hub, HoloLens, Band, Office and smartphones. In the meantime, Microsoft will release monthly updates to Windows 10 that include bug fixes, minor tweaks and small additions. 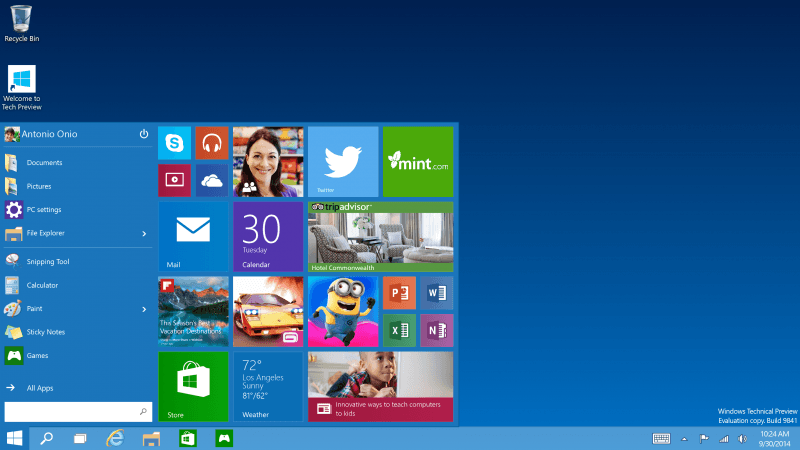 The operating system is set to be released to the general public this summer.